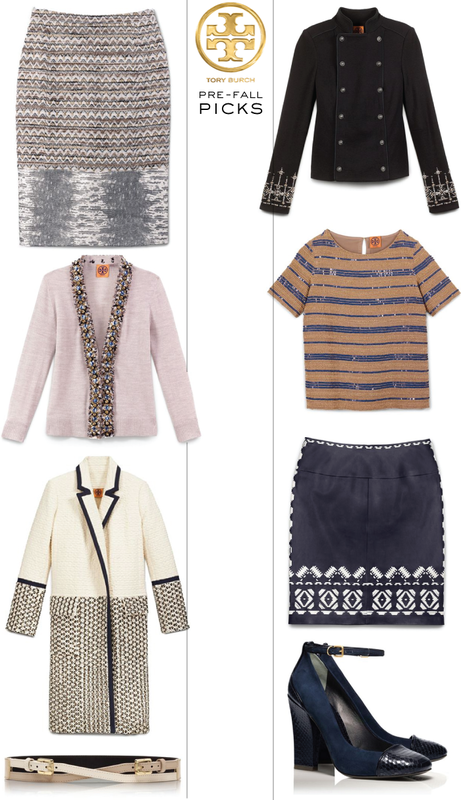 Loving the feminine details and simple structure in the Tory Burch pre-fall collection! I’ve been dreaming about this blouse – wouldn’t it be amazing as a transitional piece from summer to fall? This coat is a winner also. Divine. Shop each of my favorite picks below! TB has the best stuff…..I love the belt & SHOES!!! aren’t the shoes dreamy? love! That skirt!!! I love the metallic detail. I want anything and everything from Tory’s fall collection- swoon!